If you haven't given Tales from Beyond the Pale a chance, I'm not sure what your waiting for. It's like the Twilight Zone meets War of the Worlds radio broadcast. It's slickly produced and has some stellar creepy stories that could very well be feature films or at the least, very well done shorts. There is something about hearing a story rather than seeing it that can give you chills. Radio exercises your imagination something that film lacks. I've already reviewed Episodes 1 and 2 and Episodes 3 and 4. Check em out so you can pick and choose which Tale from Beyond the Pale you may want to download. Glass Eye Pix brings about the evolution of horror radio. 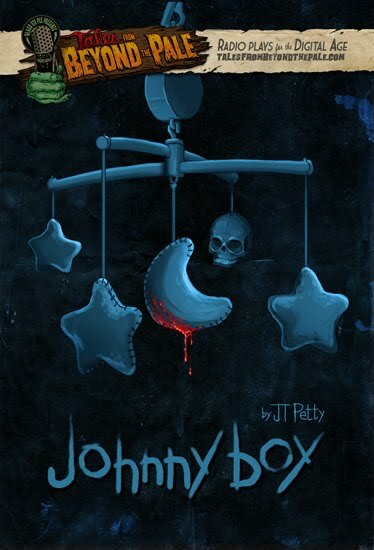 Top notch star voice talent, great suspenseful stories in half an hour and sound effects that are spooky creepy. Now check out some brief reviews of the last 2 episodes. JT Petty directed The Burrowers, a fun monster flick that just missed my Top 10 Horror Movies of 2008. His entry to the Pale is a little bit of Rosemary's Baby meets Grace. Quick synopsis goes like this. From the Streets of New Orleans to the baby's nursery this frightening tale is about the anxieties of parenthood. It's told in a film noir sort of way as Emily narrates her marriage with husband John and their newborn baby John Jr. The sounds of New Orleans come alive as the newleyweds struggle with their Johnny boy. Johnny is not your typical newborn, at times he won't breathe (as heard by his parents via a babymonitor) but then recovers worrying his parents. His obsession with a spoon is also quite peculiar. Soon both parents start a chain of distrust until the twisty ending. Johnny boy had some creepy moments but the over narration seemed a little much. Lots of over explaining sometimes hurts a radio program. Johnny boy is definitely a product of Grace and all those baby devil movies. A mysterious encounter in the beginning with an incoherent woman isn't entirely explained at the end though you know it has corrupted little Johnny in some way. Overall, it's got a few good moments and alot of buildup to a very predictable ending. There could have been a couple of directions this Tale could have gone with maybe Voodoo or ghosts in its New Orleans setting. But one thing's fore sure, I'll never listen to a baby monitor the same way again. Well leave it up to the Larry Fessenden himself to come up with probably the best Tale so far. 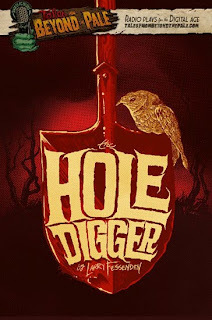 The Hole Digger is exactly what a horror radio play should be. It was the summer that everything changed, that summer in Cape Cod when me and my brother first found the hole dug down in the dunes in front of our house. Whether it was for a grave or a treasure, that hole changed our lives for good. It's the stories that don't start off with crazy stuff that usually buildup into a WTF is going on tons of fun. With The Hole Digger, Fessenden introduces us to Nicky and Tommy, brothers who grow up in Cape Cod. Tommy the older of the two takes care of his youngling, at one point saving his brother from dying. Nicky starts hearing digging as he tries to sleep and later the 2 discover a mysterious hole being dug that seems to have no purpose. The sounds of shoveling are right on the money creepy. You have no idea what's going on and each shovel gets your human antennae on edge. The boys soon confide with their mother on this unusual discovery who soon loops in their uncle and a local sheriff. What in Thor's Hammer is this hole? 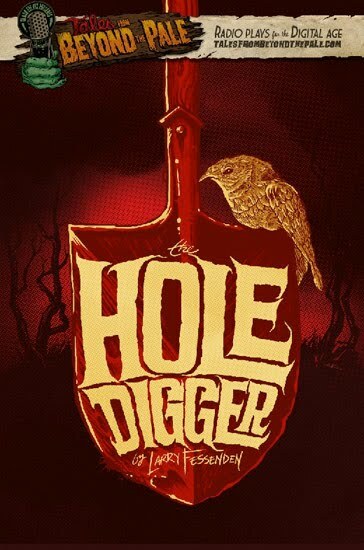 The Hole Digger seems to be more about this family's struggle and conflict as it does with this mysterious Hole Digger. It's this nice touch that makes you care about these kids and their problems. The ending leaves a little more to be desired but its subtle cool. The use of the sounds, the pacing and the voice characters were all Stand by Me-ish. Leave it up to our dear Tale Keeper host to make one of the best Tales so far. I came (to this post) at the mention of radio horror tales, and am staying for Fesseden. I will check it out. Ask The Jaded Viewer anything!